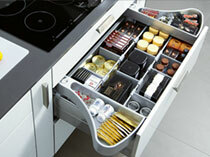 Efficiency is king when kitchen layout and storage are planned along functional lines. 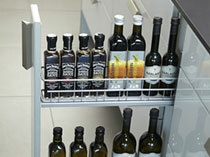 Recipes and ideas for a kitchen that suits your lifestyle. 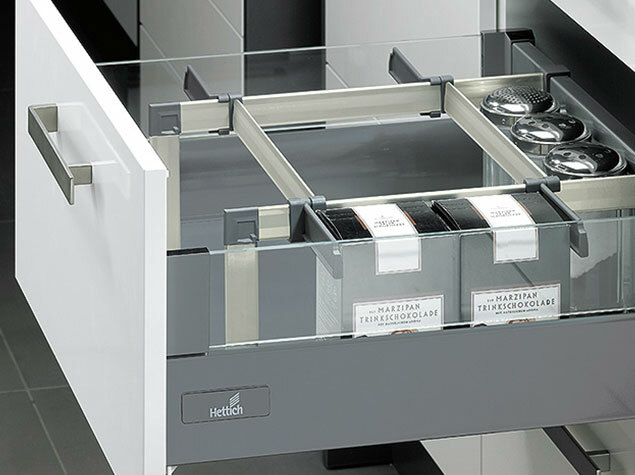 The Intelligent Kitchens concept offers you ideas on kitchen layout and choosing and optimising storage units for the highest level of user comfort. 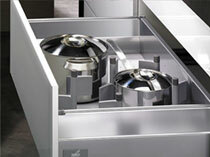 Smooth workflows make kitchen work more enjoyable by minimising effort and time. 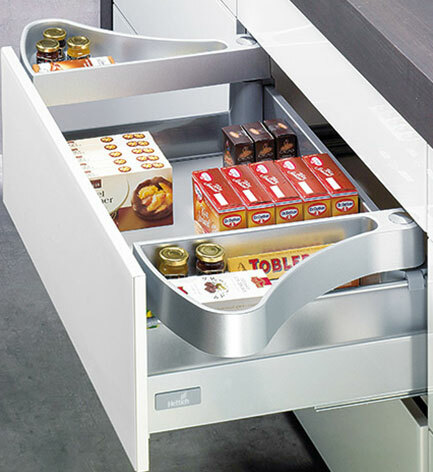 Drawers are good for storing provisions out of the way, but always instantly within reach. 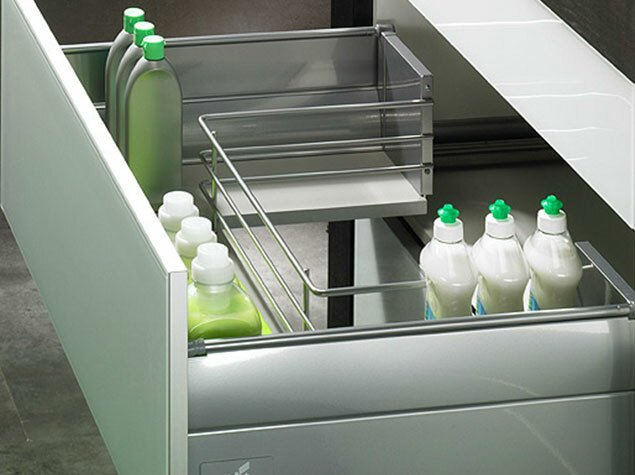 Tidy, well organised and everything in view. 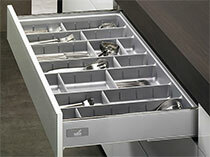 Drawers that pull out all the way with variable organiser systems. 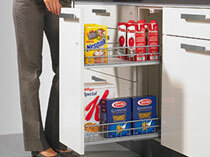 Where do you store large, bulky stuff? In XL drawers, of course, that use the space behind the plinth. Heaps of space and everything in easy reach. 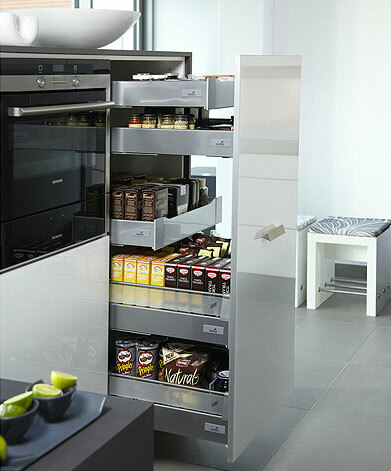 Special larder units that pull out all the way for easy access. 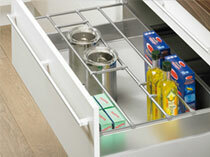 Ideally, food and utensils you need for cooking should be stored near the stove or below the hob. 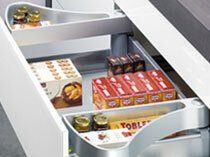 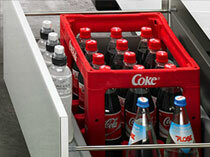 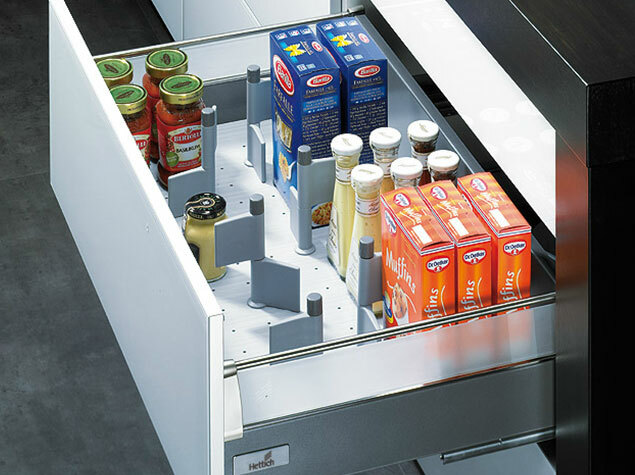 There are special drawers with variable organiser systems for storing loose and packaged foods. 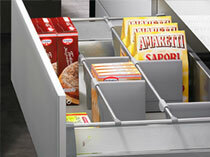 Stuff is easy to find and nothing tips or spills. 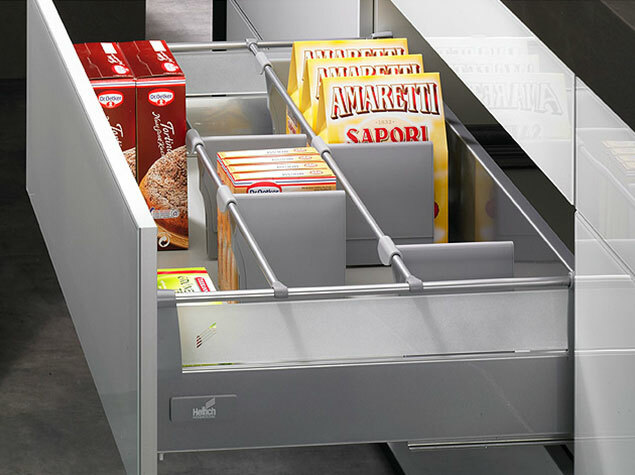 Easy access saves you time and effort. 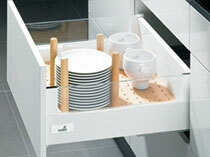 Perfectly organized units keep all utensils in view and within easy reach. 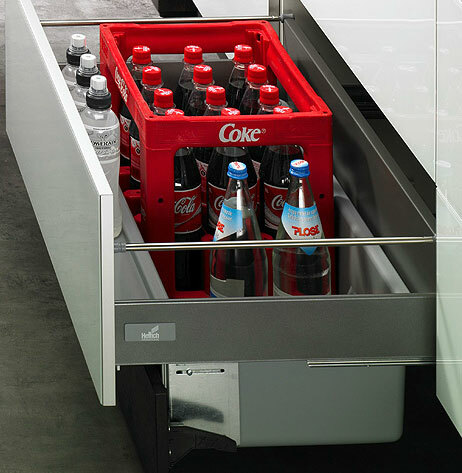 Handy and sensible storage. 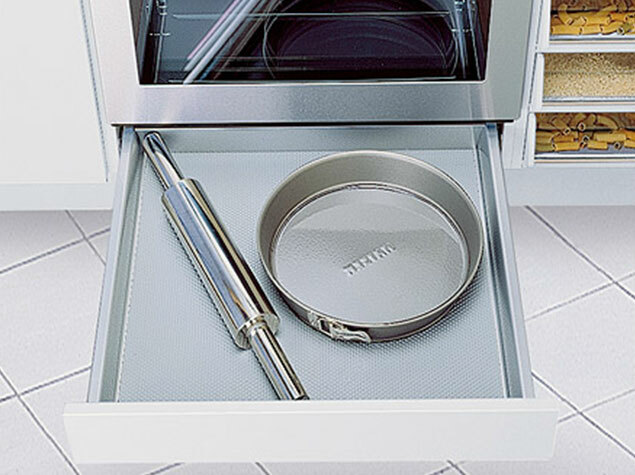 Some imaginative and practical solutions for pots, pans and baking equipment. 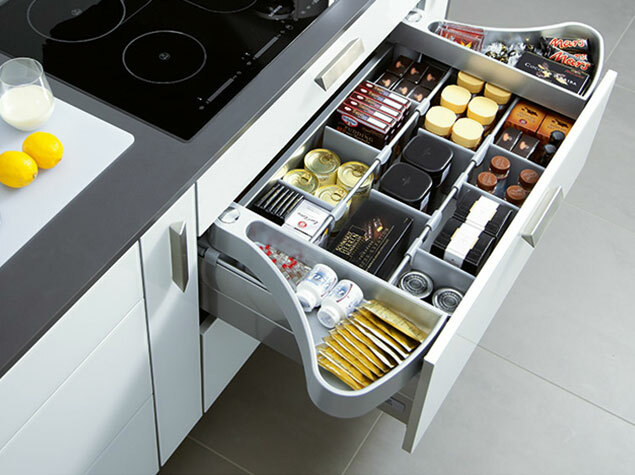 Perfectly organised pan drawers. 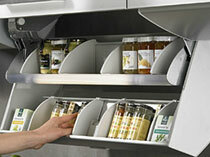 Ideal, secure storage for pots and lids. 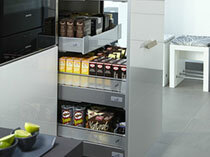 Plenty of space, practical and easy to get at. 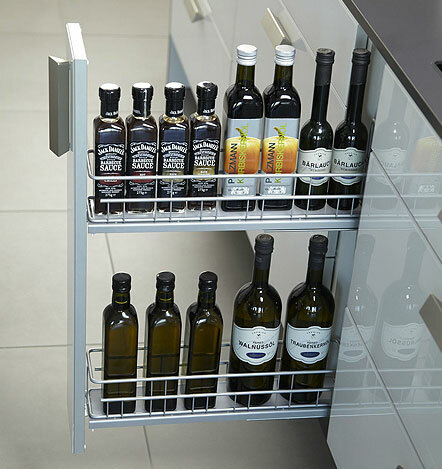 Even a tall spaghetti pot fits in comfortably. 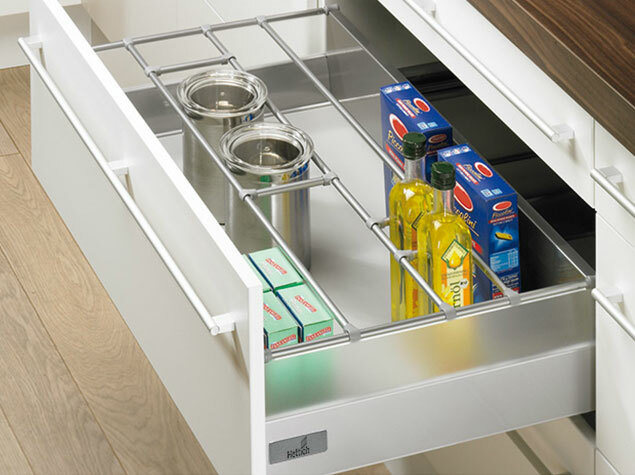 The drawer underneath the oven is the perfect place to store flat baking utensils and baking trays. 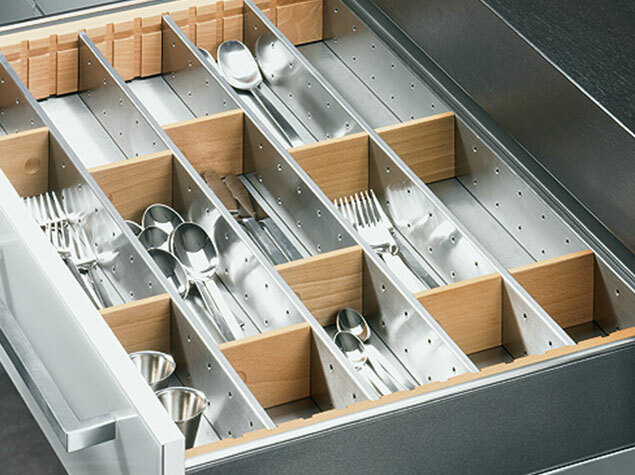 Drawers with variable organisers offers stacks of space for cutlery, china and gadgets. 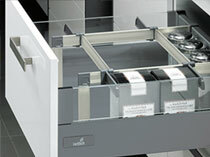 Space that adjusts to special wishes. 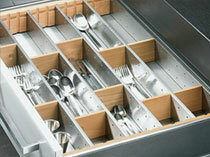 Drawers with variable cutlery inserts are a practical way to store all sorts of kitchen gadgets. 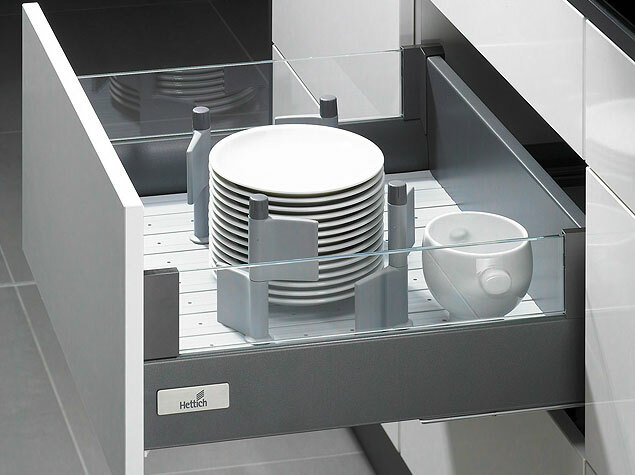 Drawers with high closed sides give even heavy stacks of plates the support they need. 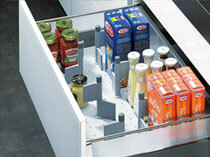 Easys make it easy to open heavy, well-filled drawers. 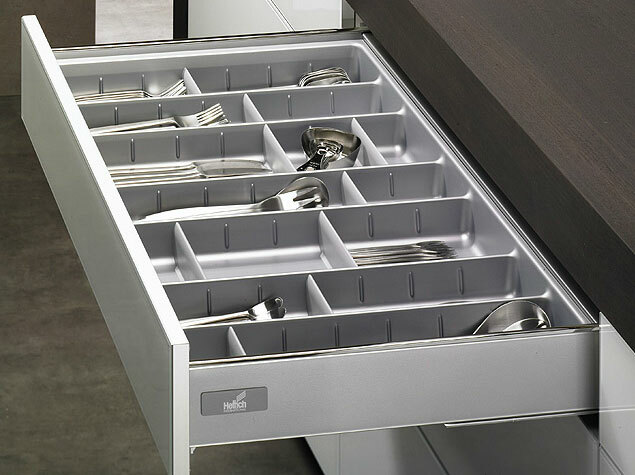 Very helpful if you have stacks in your hands. 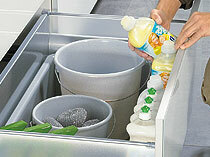 The space beside and under the sink is too valuable to waste. 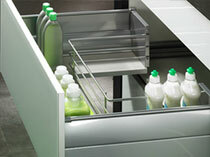 Special undersink drawers utilise otherwise dead space. 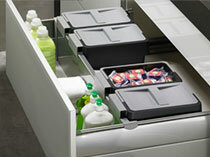 And even for buckets there's room to spare in XL drawers. 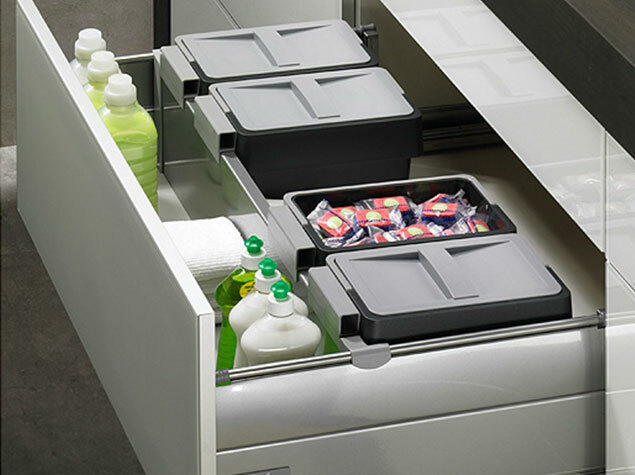 Easys make it easy: a light touch on the front gives you access to the waste bin without contaminating handles and fronts with dirty hands.